Have you ever found a record that, even for a few moments, can fool you into an illusion that you are hearing a live, in the room performance? It a rare experience we continually chase, but seldom attain. The wide dynamic range, the myriad of subtle cues, dynamic shifts, and other details that make up live music are extremely difficult to reproduce with any degree of realism. Much of the reason has to do with poor recordings and the records made from them. As listeners with an audiophile background, our minds are constantly evaluating the sound, and drawn to the flaws in the playback. 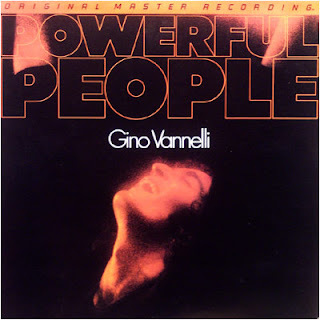 There is a record I know of that sounds so very right, so realistic and easy to enjoy is Gino Vannelli's masterpiece "Powerful People". as reissued by Mobile Fidelity Sound Labs, half speed mastered from the origimal master tapes, and pressed on JVC Supervinyl in Japan. This is an earlier effort by MFSL and in my opinion, it is one of their best, certainly among the top 5 titles ever issued by MFSL. It is not only one of the best sounding records ever made, but it is a major musical and artistic success as well. 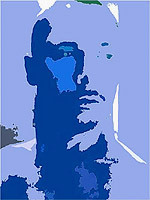 Gino has written words and music for all nine songs. If you thought that you might not care for Gino Vannelli, you might reverse your opinion after hearing this. There are several upbeat numbers, including the hit "People Gotta Move. This synth and percussion based rocker has it all, upbeat, yet somewhat haunting music, a passionate delivery from Gino, subterranean synth bass lines, intense percussion featuring both congas and bongos. There are several quick transients that are shocking in impact. Following this is "Lady", the first of two superb ballads. The vocal on this track is amazing - moving from achingly tender confession to s soaring, passionate plea. "Son of a New York Gun" is a great rocker with dynamic range to spare - at one of the climaxes, as the band is going full tilt, a police siren moves across the soundscape. At realistic listening levels, this will fool you every time into turning down the volume to hear what sounded like it was just outside your door! The cut then segues into "Jack Miraculous" and The side ends with another beautiful ballad "Jo Jo", with Gino providing another impassioned vocal. It leaves me breathless every time!